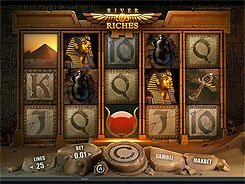 River Riches is an Ancient Egypt-themed slot with detailed graphics and eye-catching animations. Adding a unique touch to the game, the reels seem to be carved in stone, and the control buttons below the five reels look like shapeless boulders. River Riches boasts a stunningly wide range of bet sizes. 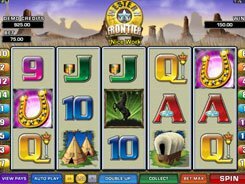 Adjusting the number of lines (1 to 25), and a bet per line (up to $20), you can place a stake from a penny to as high as $500. 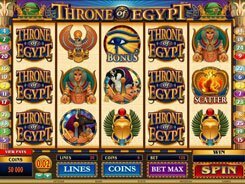 The symbols are a pharaoh, an ankh, a scarab, a pyramid, an adventurer, and playing card icons from 10 to K. The slot has two wild symbols, a scatter and a free spins feature. A regular wild symbol depicted by the Adventurer substitutes for all non-feature icons and can appear anywhere on the reels. 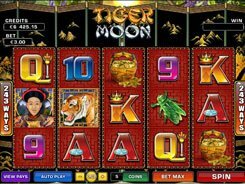 Another wild symbol appears on reels 2 and 4 during free spins only and remains fixed on its place for the duration of the free spins feature, thus increasing your winning chances. 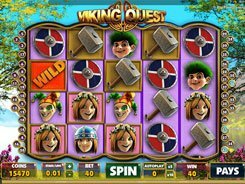 The symbol depicting Isis’ horns serves as a scatter, with at least three triggering 10 free spins. 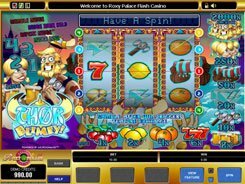 The biggest award you can win in the slot is $25,000. PLAY FOR REAL MONEY!